If you're not a fan of British TV, then there's a good chance that you don't know who Joe Cole is. That's a shame but fear not, after you see A Prayer Before Dawn, it will be impossible to forget him. Originally, the part of real-life Muay Thai legend Billy Moore was supposed to go to Charlie Hunnam, but I imagine that his interest in the project waned as his star continued to burn brightly. Don't worry his loss is our gain as Joe Cole is simply electrifying as a man that is quite literally at the end of his rope in a foreign country and finds a way to persevere. As for Charlie Hunnam, I wouldn't lose any sleep worrying about him. Ironically, he moved on to another prison picture Papillon and he will be OK.
Billy Moore is a young English boxer living in Thailand earning his keep as a fighter and stuntman when his addiction to drugs helps to land him in one of Thailand's most violent prisons. Just as all hope was lost, Billy is given an opportunity to win back his freedom by participating in savage Muay Thai boxing tournaments. When you see the A24 logo pop up before the film, you know that you are in for some serious entertainment and the logo doesn't lie. I have to brutally honest with you, A Prayer Before Dawn is not an easy watch. It portrays the ruthless Thai prison life in a raw fashion that leaves you with an uneasy feeling in your stomach. But that's the point. This isn't Rocky where the sport of boxing is glorified and put upon a pedestal for the most worthy of challengers. 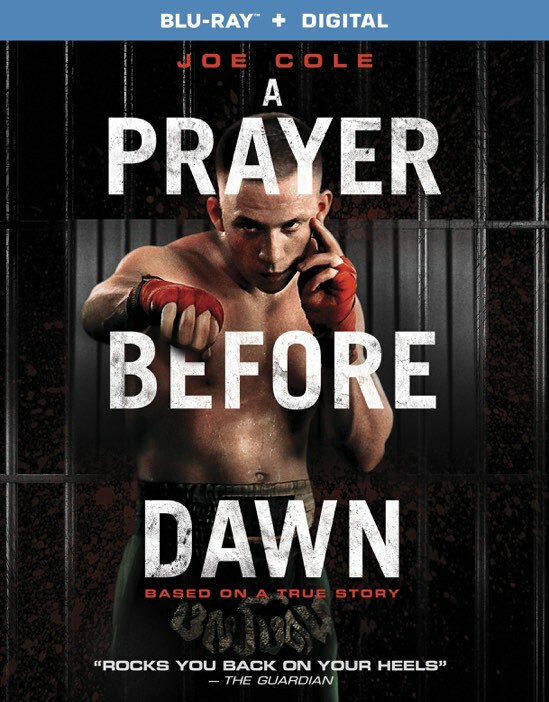 No, A Prayer Before Dawn gives you the gritty reality of Thai prison and the ruthless nature of the corrupt Muay Thai boxing matches therein. And yet, you know that Billy Moore does not have a choice. He is a fighter and his only path to salvation goes through the boxing ring, even if his life is in peril. Again, the realistic violence and brutality is such that you will be left cringing at the screen with each pummeling blow. And yet, amid all of this violence, there is hope. The human spirit and desire shown by Billy Moore and portrayed by Joe Cole are such that you will feel like you could do anything after the credits roll. Eventually, you will return to reality and the endorphins will wear off, but the realization that this is based on a true story will restore your faith in mankind. With that faith seriously shaken in recent months, sometimes it just takes a powerful film such as this one to remind us that even when life throws us the worst possible curve ball, we can recover and knock the next one out of the park. I think I'm mixing up my sports metaphors, but you get the point. The film was shot in a real Thailand prison and the authenticity extends to real prisoners cast as extras. These touches help to underscore the real story here and deliver the film's powerful message in an unflinching and convincing manner. 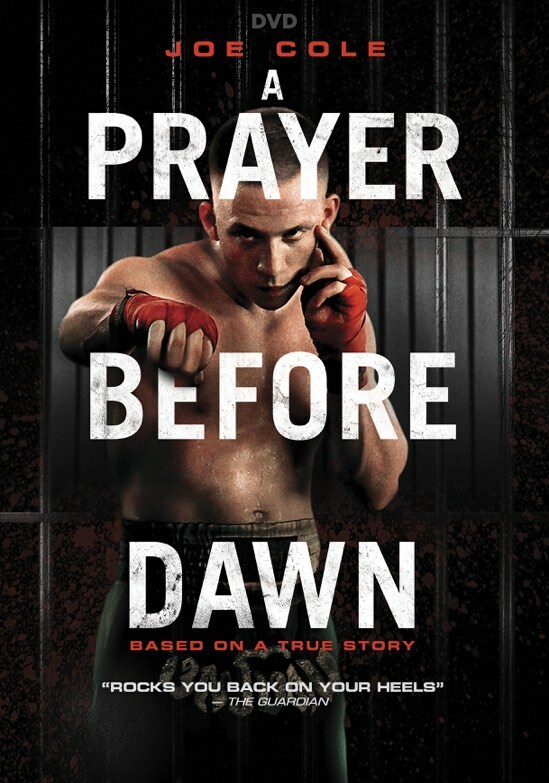 A Prayer Before Dawn will certainly draw you in and seduce you before it wakes you up to reality like a swift kick to the head. But, this is the medicine that we sorely need. You will finish the film with an appreciation for Joe Cole and my only hope is that we get to see him more projects on this side of the pond. He is extremely talented and I wouldn't be surprised to see him pop up in more films in the near future. A Prayer Before Dawn is now available on Blu-ray and DVD.